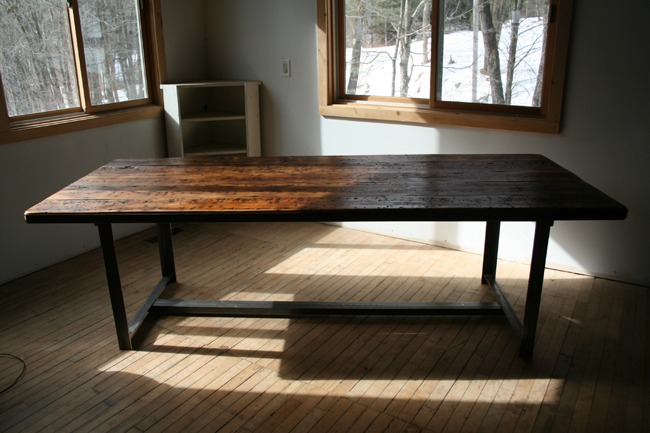 I wanted to do a little write up about a wonderful artisan I have used for some client's dining room (shown above.) I apologize for the poor picture, my iphone was all that was handy. 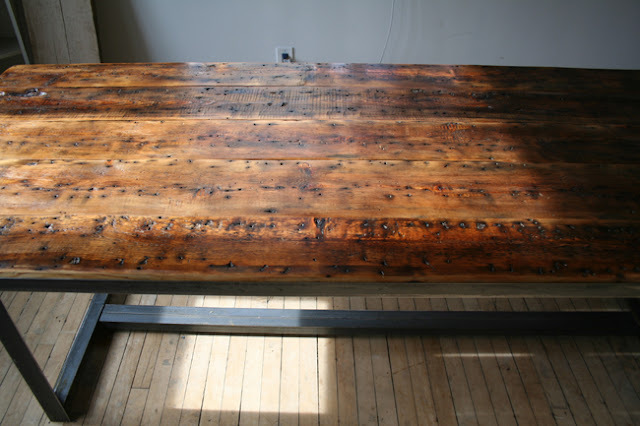 His name is Pascal Benichou and he makes these incredible pieces of furniture from reclaimed timber and modern, industrial steel. The perfect marriage of new and old. 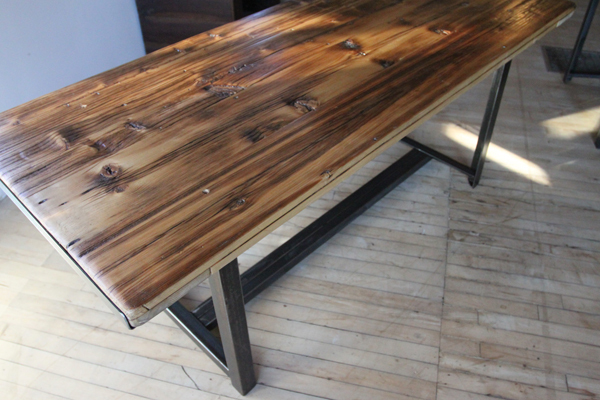 I love the idea of weathered and warm 100 year old barn wood, being remade into a gorgeous piece of modern, unique, and character saturated furniture. They are truly works of art. Don't you think so? Those are gorgeous!He does beautiful work. Wow his tables are absolutely stunning. 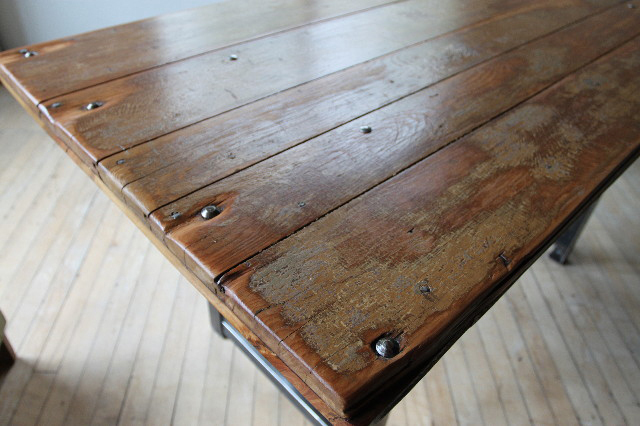 I love the feeling of reclaimed wood...it has such beauty and just looks like it has a story! Mixed with those chairs it's perfection. Wow! That is so fabulous. Love it with the mix of chairs. 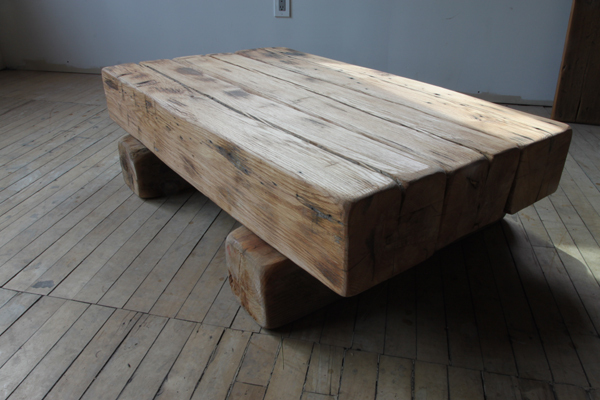 Love that chunky coffee table!